(Memphis, Tennessee) This week we explain the big happenings on Beale and what all the fuss is about. 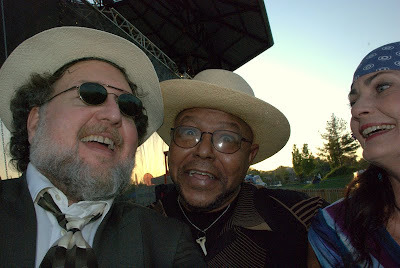 It's the International Blues Challenge, a worldwide competition organized and produced by my friend Joe Whitmer of the Blues Foundation. The competition goes on for three days on Beale Street in Mempis, Tennesse, the home of the Blues. 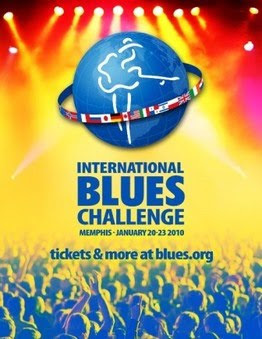 2010 marks the 26th IBC held in Memphis. It takes place between Wednesday the 20th and Saturday, January 23, when the winners will be announced. Nobody can enter directly. 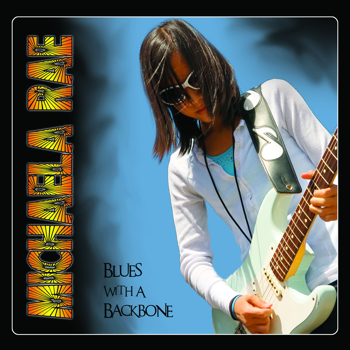 First you must win a local competition held by a Blues Foundation affiliate such as the Atlanta Blues Society, Memphis Blues Society or Associazione Roots 'n' Blues. There are 175 affiliates. This group of winners travel to Memphis to compete in the IBC. What categories are available for competition? You can compete as a BAND, SOLO/DUO, or in the YOUTH competition. 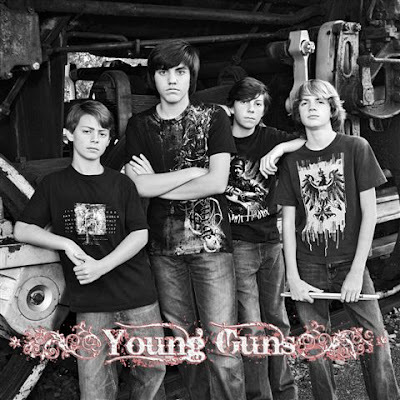 No members of a band in the YOUTH competition can be over 21 years of age. Who are some of the former winners? 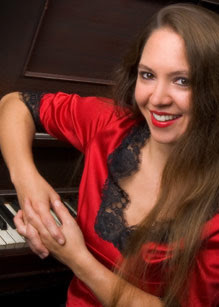 Some of the blues artists whose careers were launched at the IBC over the years include: Janeva Magness, Eden Brent, Susan Tedeschi, Michelle Wilson, Michael Burks, Tommy Castro, Albert Cummings, Larry Garner, Richard Johnston, Zac Harmon and Matthew Skoller. 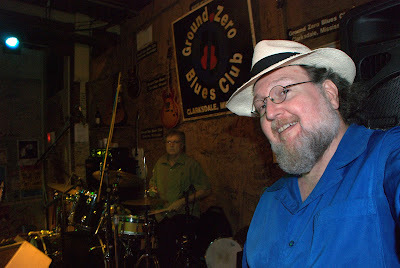 Where can I join the Blues Foundation and support the BLUES? What is on this year's schedule and where do I go? Handy Park Bar--Thursday & Friday 5:00pm-close at night. Will call, walk-up ticket sales, information and event programs, etc. will be available in these two locations. All non-musical events will be at the Doubletree Hotel, 185 Union Avenue, unless otherwise noted. Click on Doubletree logo at left for hotel map. 5:30-7:00 pm Beale Street "Meet and Greet." Beale Street Merchants Association welcomes IBC participants and attendees New Daisy Theater. When the scores have been tabulated Friday, the finalists will be announced at various Beale Street clubs. 1:00 pm Doors Open for Solo/Duo Finals. Silent Auction resumes and closes at the beginning of the 6th act (approximately 3:40 pm) The Orpheum Theatre. 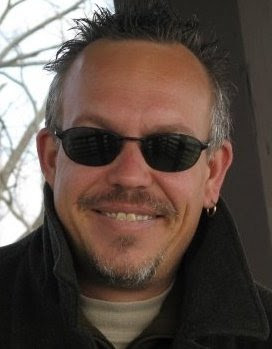 Our friend, publicist Betsie Brown, will be holding a showcase produced by her firm, Blind Raccoon, to promote her cadre of artists and to help raise funds for the The Sean Costello Memorial Fund For Bipolar Research. Sean was a friend to me and the band and his passing was truly premature as he had so much great music to give the world. 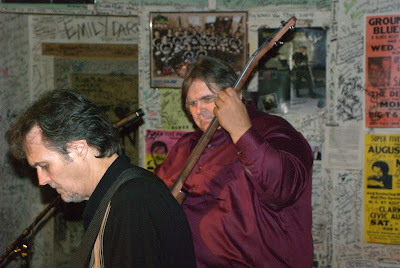 We all played many nights at the old Black Diamond on Beale Street and hung out together. He is sorely missed. 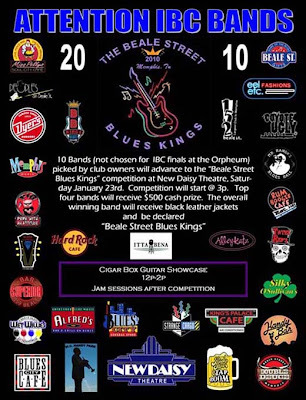 Mike Glen of the New Daisy Theater on Beale is hosting an event called Beale Street Blues Kings. 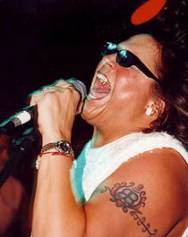 The event is comprised of ten acts that were not chosen for the I.B.C. finals. These acts will compete for a $500 cash prize. 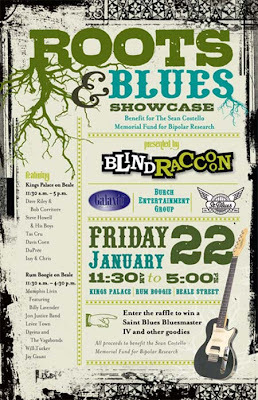 The event is at 3:00 PM on January 23, 2010, and a Cigar Box Guitar Showcase will be held from Noon-2:00 PM. For More Information, Click Here For the New Daisy Website. 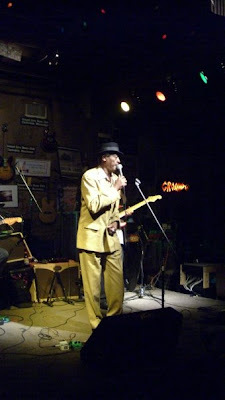 Headed down to Clarksdale, Mississippi? 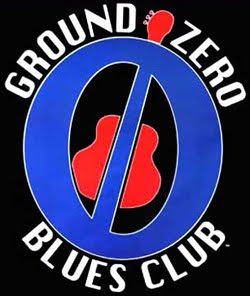 Then you might want to check out the Pre-IBC Blues Jam at the Ground Zero Blues Club on Wednesday, January 20, 2010, at 8:00 PM, hosted by Tas Cru.